This recipe couldn’t be more satisfying and was well worth the arched-eyebrow look from the pale-faced cashier tonight. In less than 5 minutes I had a cup full of creamy peanut butter that cost pennies and tasted as good as anything store-bought. Kids, try this at home. 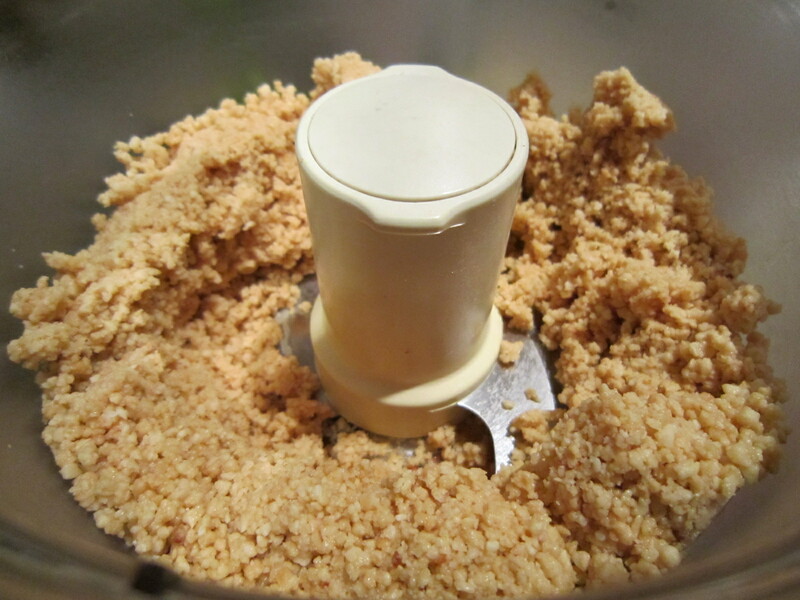 Mix all the ingredients together in the food processor for 3 minutes or until the mixture starts to become soft and creamy. 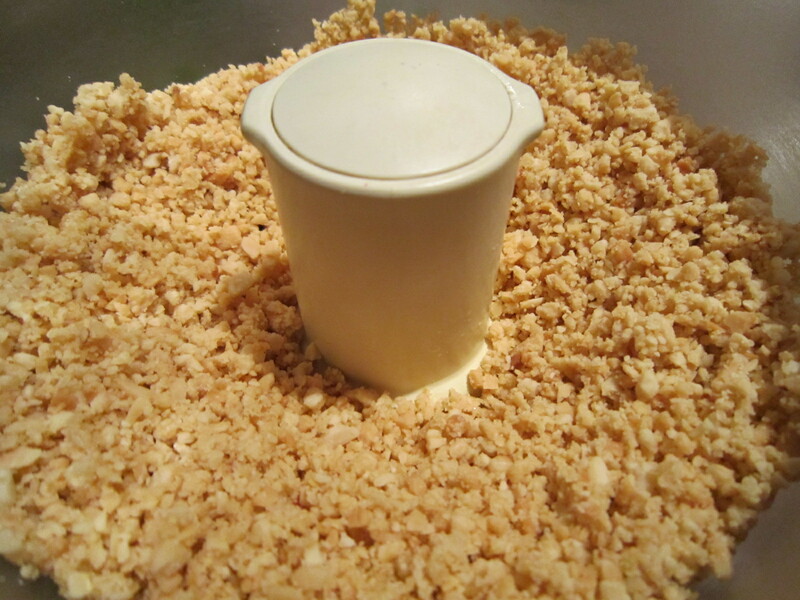 Use a spatula to scrape down the sides and then blend again until the desired consistency is reached. 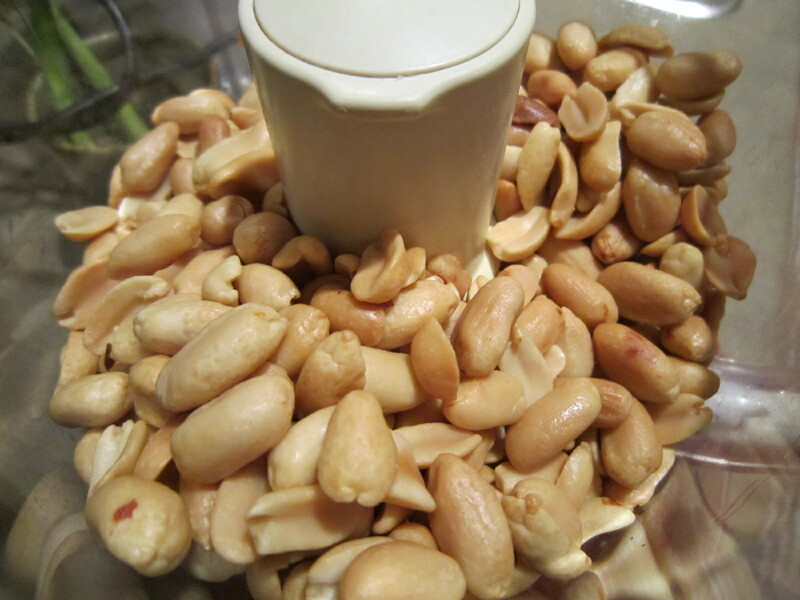 You may prefer a bit of chunky peanuts in yours, though I mixed a little longer until smooth. You can also add more or less sugar depending on your taste and hankering for sweets. 3 minutes and you're done! You can eat peanut butter on its own if you’re quirky like me, but it can also be used in a wide range of recipes from pasta, to cookies, to breakfast smoothies as a protein additive. Take a look at my peanut butter dog treats, or quick-and-easy chicken satay. I’ve also made a variation of the classic Phad Thai dish, in which I stir 2 tbsp of PB into cooked rice noodles, along with a dollop of curry paste and a can of coconut milk; sprinkle this with cashews, sliced spring onions and squeezed lime and you’ll get a mouth watering dinner. This entry was posted on Friday, February 25th, 2011 at 8:38 pm	and tagged with chicken satay, dog treats, homemade, nuts, peanut butter, peanuts, recipe and posted in Vegetarian. You can follow any responses to this entry through the RSS 2.0 feed. Wow, I was totally with you until I got to the sugar (or for that matter the extra oil). When I eat my favourite store bought PB the ingredient list reads “peanuts”. Its one of those gorgeous foods with one ingredient that is somehow completely different than that ingredient. In any case, I’ll give you the oil and salt but sugar? Really? It has been too long since I was on your blog. I have a ton of catching up to do. Glad to see that you are still at it. I also have not been on in a long while but I had to jump in here. Gastroman is out of line. 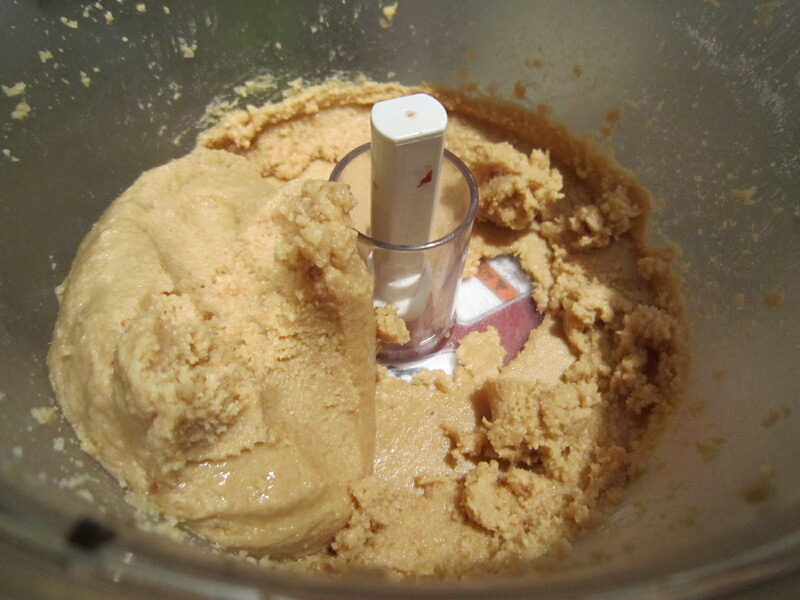 You have posted a recipe for a sweet and creamy peanut butter. If you don’t like sweet and creamy peanut butter that does not warrant a post about this recipe. 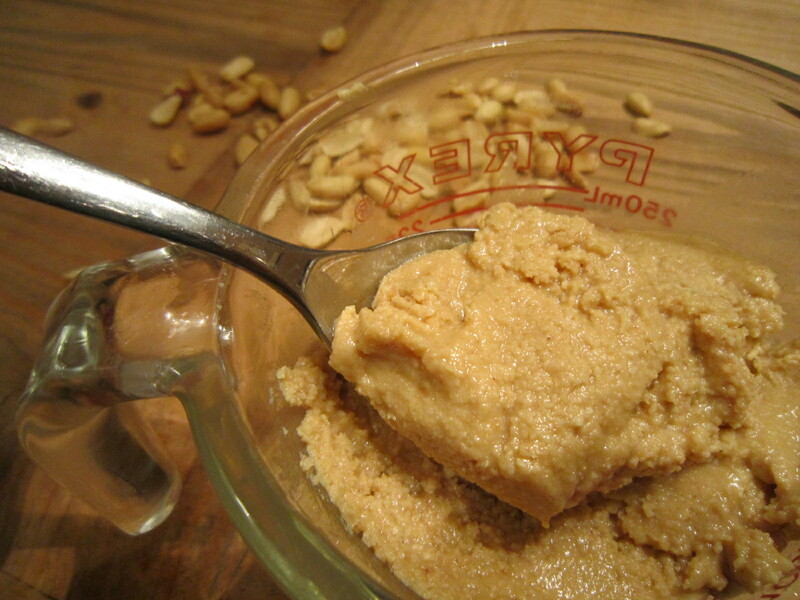 It may be the worlds best smooth and creamy peanut butter, he’s still not going to like it but that should take nothing away from another great and practical recipe.